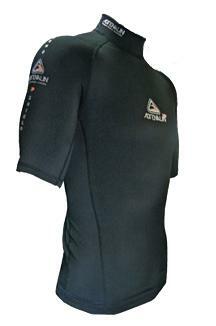 Keep yourself warm with this Adrenalin thermal top. Use on its own or as an undertlayer. The Adrenalin PP Thermal Short Sleeve Thermal Rashies are some of the most comfortable, versatile and durable thermal tops on the market. From Sea Kayaking, Kayak Fishing spearfishing, to scuba diving and even surfing, the Adrenalin PP Thermal Short Sleeve Rashie is sure to keep you warm and sun protected.